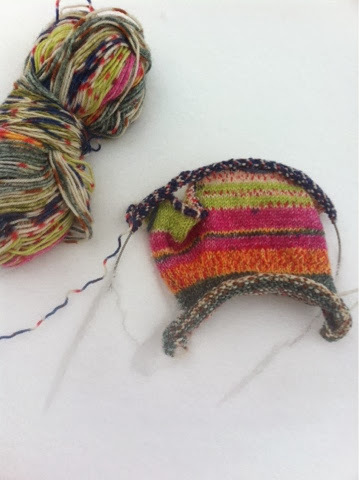 These colourful fingerless mitts have been on my 'to make' list for a long time. Here is a link to the pattern Spatterdash Wristwarmers. With all those buttons, they look very Steam Punky, don't they? Maybe I can knit a second pair in a solid colour and dress them up with some shiny brass buttons... oh yah, that will be good! They look great. I love the colors. Adult responsibilities always seem to cut into knitting time don't they? thanks! and yes, we have to fight to preserve our knitting time!